We can apply this rational to the works of art altered in Sandy. Simply because a painting has watermarks does not mean is ceases to exist as an emotive and societally charged artifact. In fact, a work that reflects the damage of a major tragedy – such as a devastating hurricane – could be argued to hold more significance to this culturally moment. Rather then cast off this work as being ruined, perhaps it should be venerated for its endurance through social change. The damaged piece not only holds the original cultural significance, but also a physical mark of its history. In a completely unforeseeable coincidence, the Arthur Ross Architecture Gallery at Columbia University opened the exhibition No Longer Art: Salvage Art Institute almost immediately after the hurricane’s wrath (the show was originally scheduled to open November 7th, but was postponed until November 14th). This exhibition, just five miles north of Chelsea, displays work from the Salvage Art Institute – artist, Elka Krajewska’s growing collection of marginalized artwork. Established in 2009, SAI collects damaged works of art that are so heavily impaired insurance companies have deemed them “non-art” or having “total loss” status. In Arthur Ross, fragments of a Koons Balloon Dog are placed alongside a ripped 19th century French painting; transcending the classifications of medium or genre, the exhibition simply considers what value does a “damaged” work still hold. Through the eyes of the financier these objects are completely devoid of any fiscal or social worth, but in placing them back into the gallery system No Longer Art proves their aesthetic and social value can be revived. 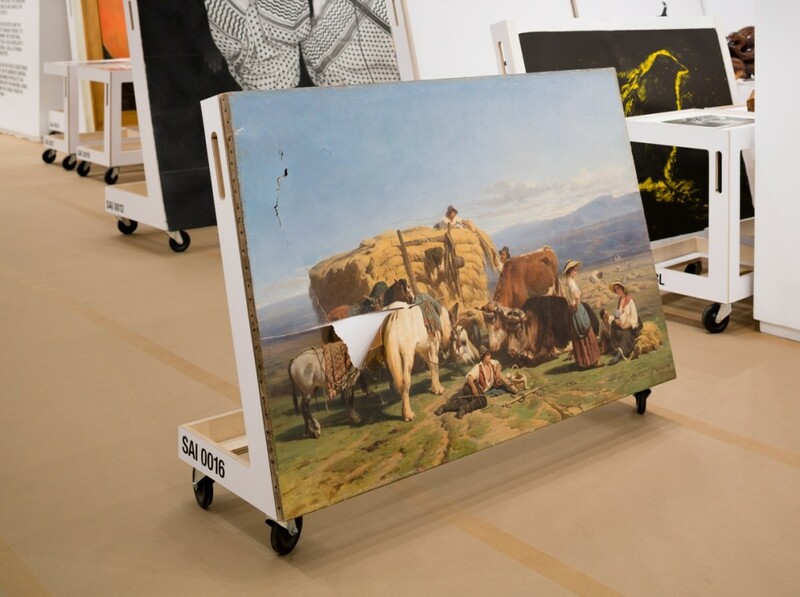 The exhibition gives us the opportunity to look through and between the regulations of art value. Through considering salvaged art, we find that we did not lose any cultural artifacts in the storm, but rather altered them. Whether the work in those affected Chelsea galleries are mended to their original form or are disregarded as an investment lost, we cannot strip them of their cultural worth. While Hurricane Sandy washed away the material perfection of some cherished artworks, it also opened up a space for us the rethink the fragile pedestal we put these works on.